JACK WARD of King Ferry, NY had poor snow conditions during his initial hunt. 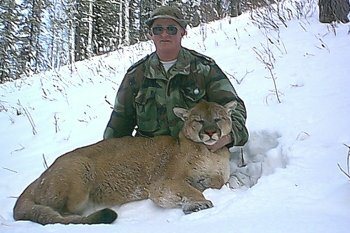 He made his second try of the season in late January and his persistence was rewarded with this nice tom. BRYCE JOHNSON of Leavenworth, KS came for his first visit to Alberta in February. 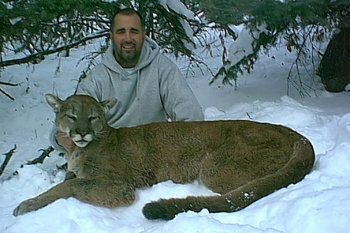 He arrived in time for some warm weather, but stuck with it and took this cat on day nine of his hunt. 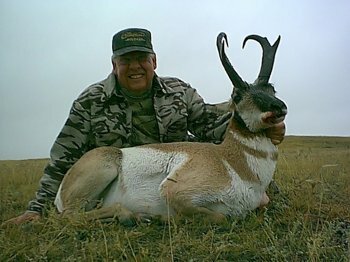 RAY KRAUSE of Prince Rupert, BC made the drive over from the coast to get in on our first antelope hunt of the year. This nice buck was traveling by himself in the early morning rain and fog. 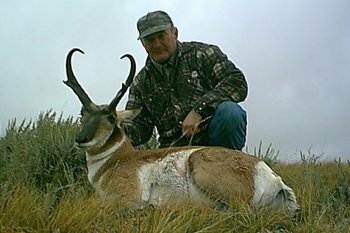 Ray was lucky enough to intercept him, getting the antelope season off to a great start. 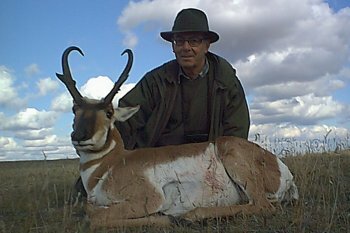 FREDERICK BADIA of Barcelona, Spain traveled a great distance to hunt with us. He made a difficult shot to take this nice buck. Thanks for the Spanish lessons, Frederick! 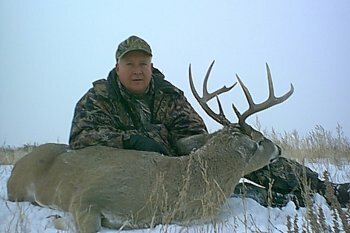 DON SELBY of Orem, UT, has hunted with us a number of times, becoming a good friend along the way. 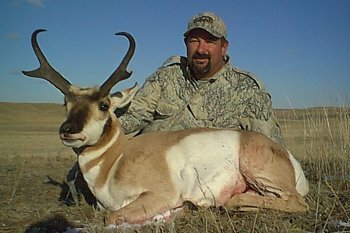 He joined us on our second Pronghorn Antelope hunt of the year, in late October, and took this wide horned buck. Outfitters get a chance to hunt their home ground on occasion. This year Gordon was lucky enough to take this nice buck for himself with a 140 grain Barnes X bullet from a .280 Remington. JOE PICCOLO of Johnsonville, NY got the trophy he came for. 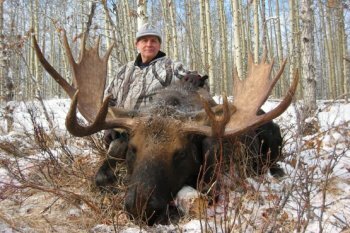 He harvested this big Shiras moose and saw some of the great scenery the Rocky Mountains have to offer. 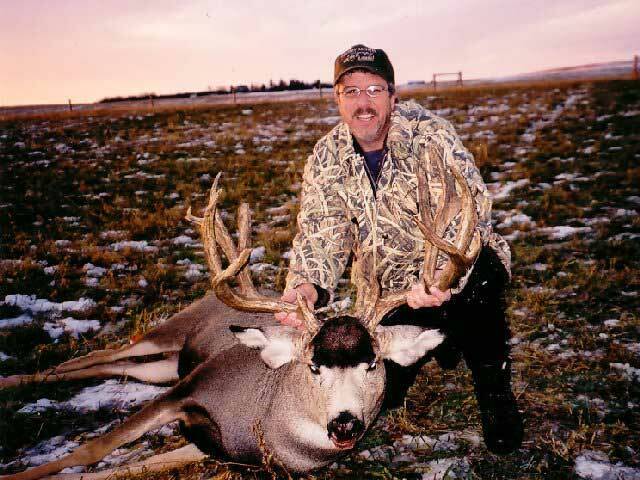 DAVE SHULTE of Glenarm, MD took this fine mulie on the first day of his three day hunt. 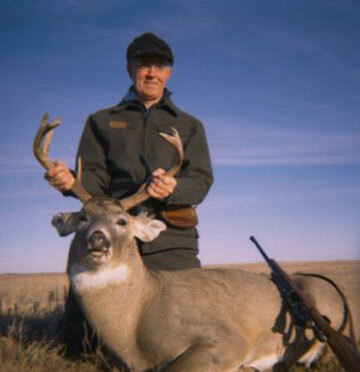 He was lucky enough to put his tag on a prairie whitetail on the third day. 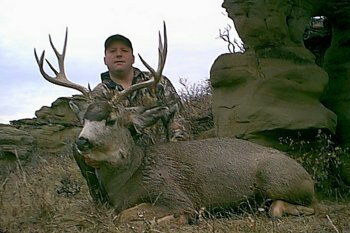 SHAWN HARTMAN of Baltimore, MD joined his friend Dave for the trip to Alberta and was happy to find a trophy mule deer waiting for him too! DAVID GRATON of El Granada, CA (right) took this beautiful non-typical buck at first light on the first day of his hunt. 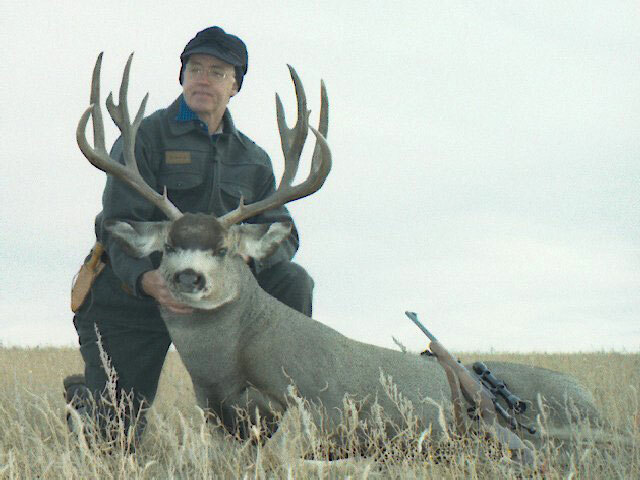 His guide Gary Villemaire is holding David's buck below to give us another look at this super deer. 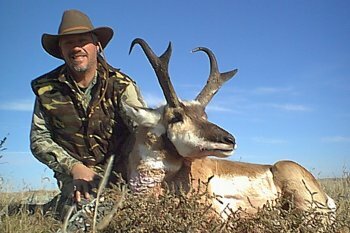 JIM MELLODY of Scottsdale, AZ is an avid mule deer hunter, he joined us in November. He put on some miles hiking around the prairie landscape. He was rewarded with this long-tined buck. ROBERT SLOCUM of Ashfield, MA and his father HOWARD SLOCUM of Sehaghticoke, NY came on a deer hunt together. 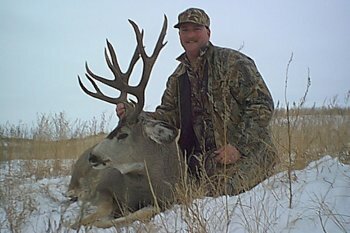 Robert took this great deer at the beginning of his hunt. 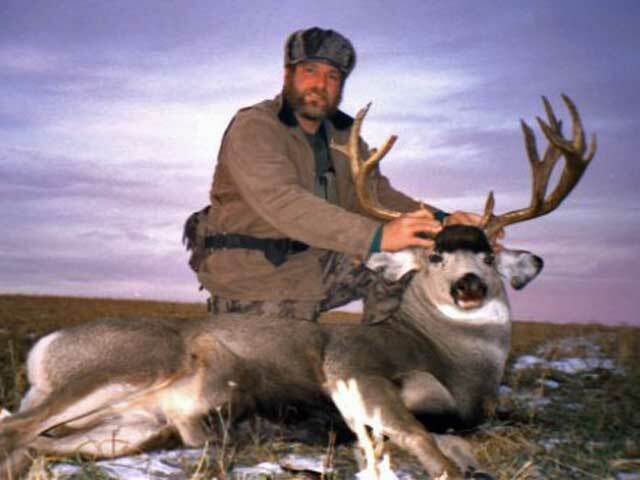 Robert also managed to tag this old heavy whitetail before his hunt was finished. 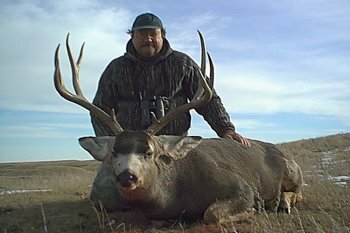 TODD REID of Columbia City, IA harvested this muley buck after hiking some picturesque prairie coulees. 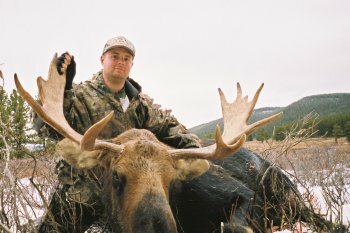 SHAWN YOUNT of Larwill, IA hunted hard to get his first moose and then the work began! Thanks to everyone who joined us in 2002 and made the year another memorable one for us. Congratulations to those whose success we were lucky enough to share. Andre Couture, Dan Fieldberg, Derek Barnes, Gary Villemaire, Heide Bowyer, John Gordon and Tony Kondel.